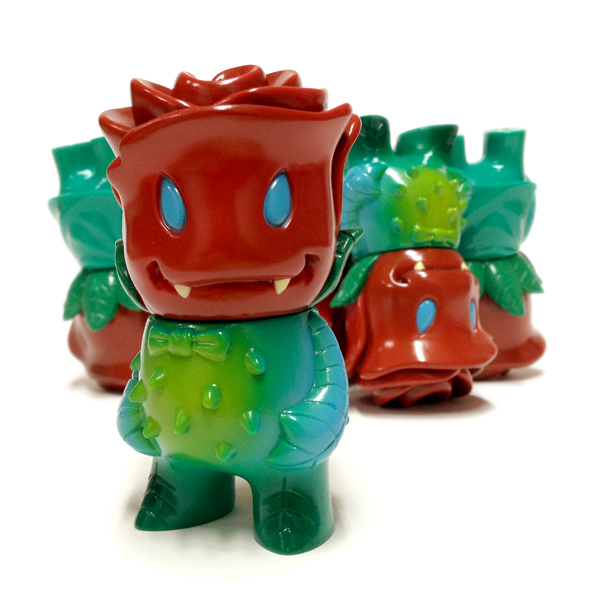 Available NOW – Pocket Rose Vampire! From deep underground the Rose Vampire grows to stalk the living! The Pocket-Sized Roseferatu from Green Hell is small enough to travel with you…anywhere there is something in which to sink his fangs. Joshua Herbolsheimer’s terrifyingly cute creation measures 3” tall of pure Japanese vinyl goodness. Don’t miss out on this new rendition of one of Super7’s most popular characters! Pocket Rose Vampire is SOLD OUT!